Every other day you hear the news of wasp stings from your neighbours. Many of your neighbours got affected with wasp stings. The local wasp exterminators had come and removed the wasp nests. Still, after some months, you see wasp nests in the same place where the wasps had nested last time. At times, it happens that you walk past by a wasp nest and you get attacked by a number of wasps. The reason is that you do not know how does the nest of a wasp look like. The huge paper ball-shaped nest made up of raw wood will signify the nest of a wasp. In summer, the nest of a wasp gets matured. Hence, you can expect a large number of wasps inside the nest. Wasps do not like to be disturbed. 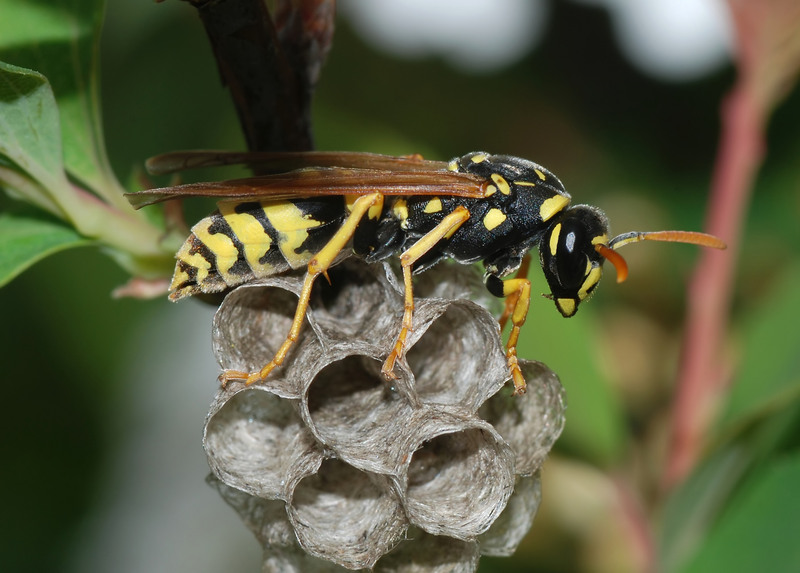 If you try to break the nests of wasps or you prevent them from flying, the flying insects turn out to be aggressive and they will create harm to you by way of stings. What could be the best method to remove wasps forever? The extermination plan by a reputed pest control company can keep wasps away permanently from your surroundings. The reputable pest control company which notched countless clients is our Chambers pest control company of Perth. We exclude wasp nests with our wasp control Perth solutions. If your area has high or low number of wasps, our professionals will deal any number of wasp nests in an effective manner. While performing the wasp removal technique, we will make sure that you do not get affected by our pesticides. Before you hold the pesticide spray in your hand, you should hang on a while to think which wasp species are flying in your area. The social wasps, wood wasps, ground wasps, paper wasps, red wasps, parasitic wasps, solitary wasps and spider wasps are found to be spotted in the Perth region. 1. Pinpoint holes on the structural parts of the wooden items. There will be a damage of wood or you may notice chewed wooden parts on the floor. 2. A flying insect which has long wings, slender in shape and a yellow abdomen will be a wasp. This insect will be found to be flying in the place where there is an infestation. 3. The nest of a wasp will be constructed with mud particles and chewed wood. Resorting to our pest control company can release your tension of wasp infestation. When our wasp control services will be implemented on the wasp nests and on the specie of wasp, then all wasps will be exterminated. No new colony of wasps will be ever built in your territory.